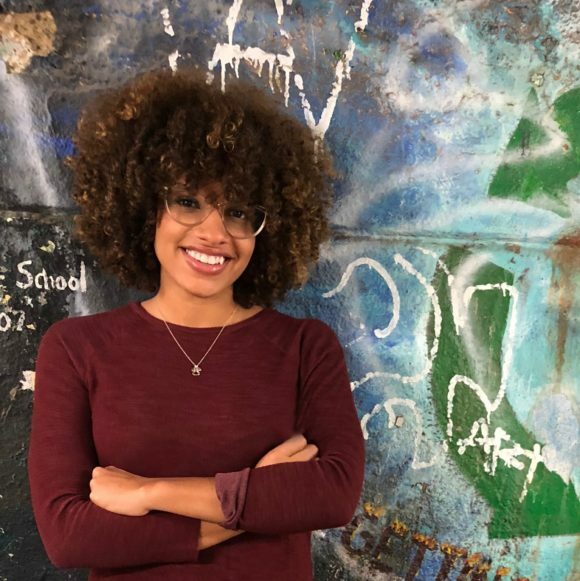 Share the post "Graduate Amber Betances (‘17) Reimagines Abandoned Historic BeBop Space in the Motor City"
Amber Betances, master’s degree in landscape architecture (’17) from Rutgers School of Graduate Studies, was one of several graduate students who participated last year in the Park Break project in Detroit, MI. 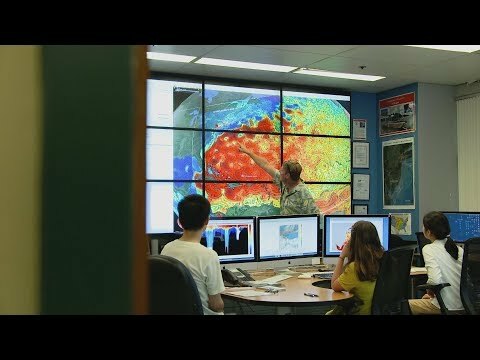 Described as “a unique learning fellowship for graduate students thinking about a career working in parks, protected areas or cultural sites,” Park Break is funded by the National Park Service and the George Wright Society. Its goal is give young professionals first-line experience in professional resource management, natural and cultural, in real time. Betances, along with nine other colleagues drawn from seven other academic institutions across the U.S., was tasked with linking together sites associated with Detroit’s lasting legacy on American music and the recording industry. 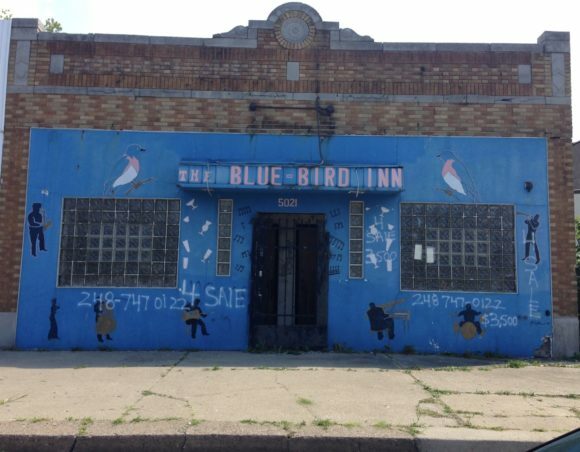 A landscape architect, Betances produced a series of renderings for the potential reuse of the Blue Bird Inn, the first BeBop venue in Detroit and the cultural touchstone of the Motor City’s once vibrant middle- to upper-middle class, historically black community. Located in the historic Tireman neighborhood, the bar and restaurant was first open in 1934 and was a haven to nationally renowned jazz musicians, including then rising stars Miles Davis and John Coltrane. The Blue Bird Inn began regularly showcasing BeBop in the 1940s. 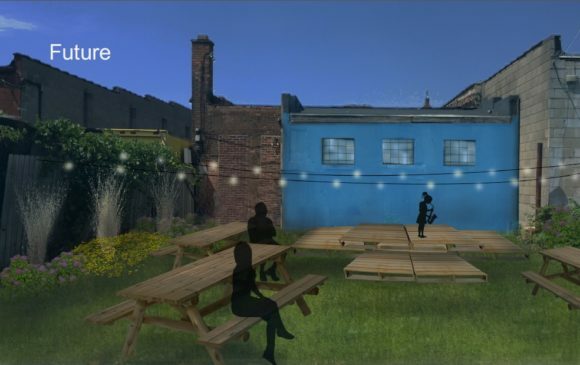 Betances’ task was to reimagine Blue Bird Inn, vacant since 2011 and sitting among a stretch of abandoned buildings in the once thriving neighborhood, for potential reuse as a community music space and home for the Detroit Sound Conservancy. Following archaeological and archival research at the venue, Betances produced a series of drawings that were submitted to the Kresge Foundation’s Kresge Innovative Projects: Detroit Program for funding. The application was one of the successful projects to be recently granted $250,000 in seed funding from the foundation to purchase and renovate the Blue Bird Inn. The renovation project is underway. Betances reimagined rendering of the Blue Bird Inn as a space for the Detroit Sound Conservancy. Blue Bird Inn, pictured vacant in 2017.